My table is clear and usable for the first time in MONTHS! I am sitting at my computer like a civilised human, not scrunched over it on my lap like the last picture in a comedy ‘evolution of man’ illustration. Lucy moved in with me nearly a month ago :D and although the co-habiting is lovely, my tiny flat has had an onslaught of possessions that has been tricky to work through. But last night the in-laws came for a celebratory housewarming paella so we really had to get a grip and make the place nice. The evening was lovely and they brought us many delightful gifts (including a drill set which we are crazy excited about) but the best part for me is probably the re-discovery of my dining table and today’s prospect of a whole day to work at it! 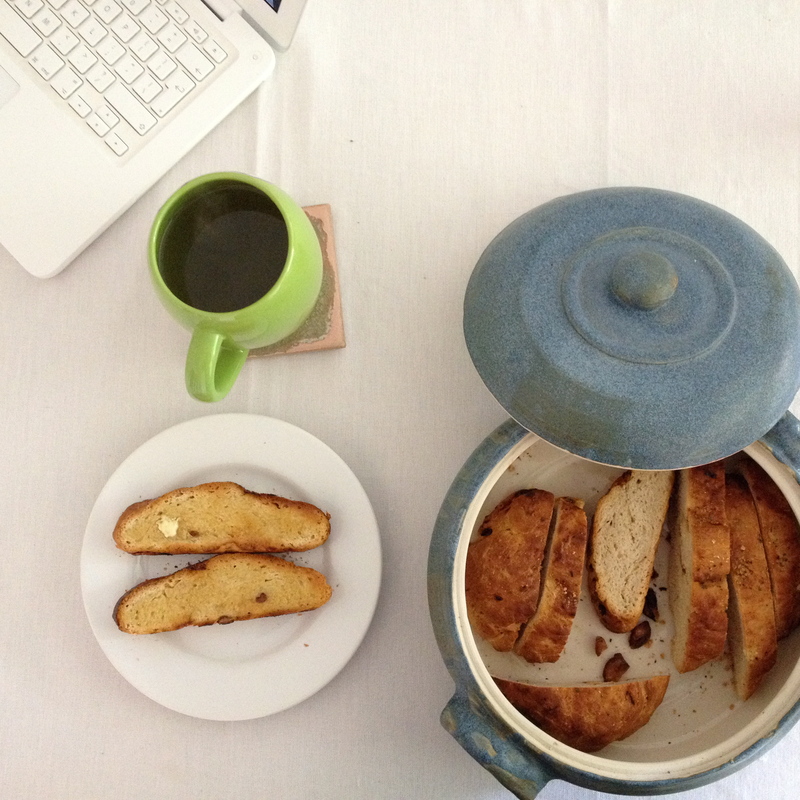 I am starting with a breakfast of some toast made from the roasted garlic loaf I made yesterday and writing this little update. I’m keen to get the sewing machine out and make more cushions. I have a heap of unloved knitwear brought home from work. I have sold some cushions from the Etsy shop! Admittedly, only to my adorable friend Pete, but a sale is a sale. Plus I’ve had some interest from my Lucy’s parents who would consider selling some in their fancy interiors store, so I should really up my game for them and make a few with proper labels and fastenings. I’m thinking it would be good to embroider labels with ‘Milkbottle’ and some fabric/care info, I just need to find the best way to do that quickly and simply. Embroidery-wise I’m pushing to get this guy finished: The cross-stitch of Raven Rouge at the Art Macabre death drawing session from ages ago. The lovely lady who is the subject of this picture has shown an interest in having it when it’s done, so that’s giving me the incentive I needed to actually crack on! 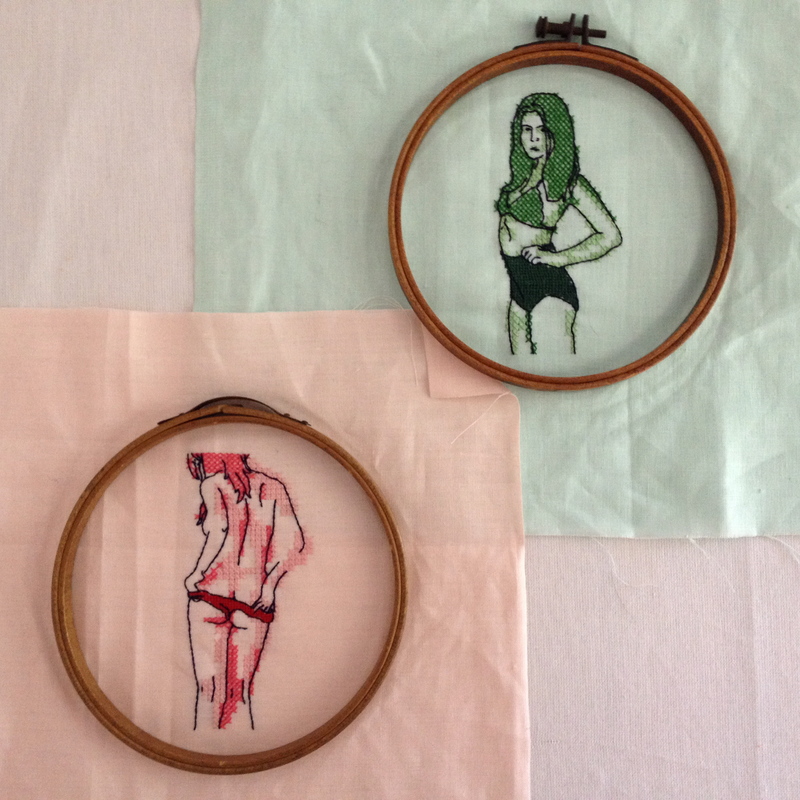 I’d also like to get the girls-in-knickers embroideries framed up today. I’ve acquired two vintage hoops (thanks to a recent bout of ebay addiction) which I think will be perfect. I’ll put these up for sale too, although I’ve no idea how much for yet. 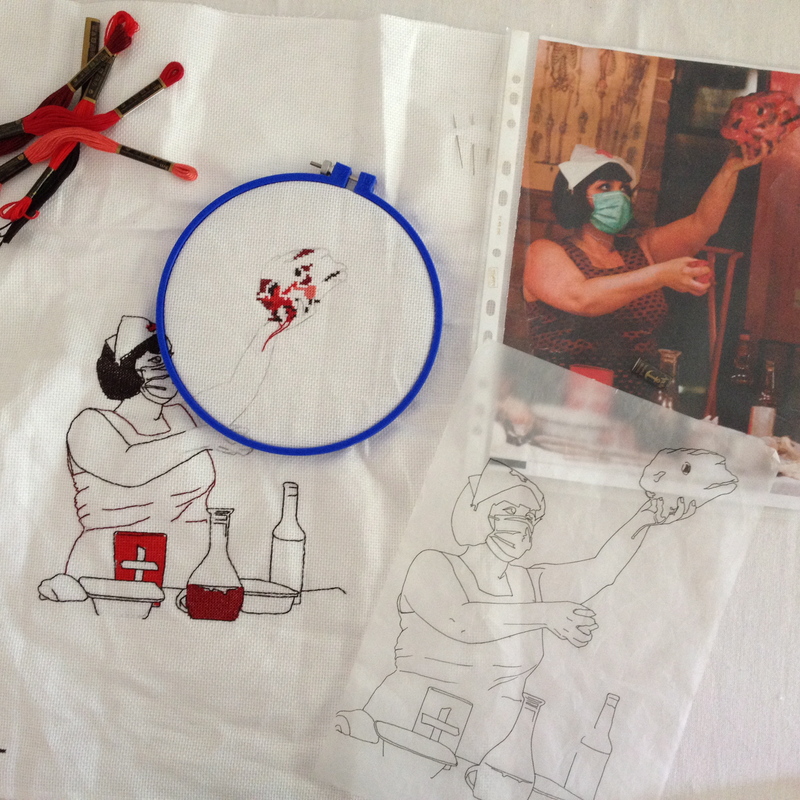 And I signed up for the certificate course at the Royal School of Needlework! I’m so excited. I’ll be starting Jacobean Crewelwork at the end of June. Going to have a nice day out to Hatfield House to get some Jacobean inspiration. The assessment criteria are pretty strict on this module, holding me very close to a traditional tree of life design. No room for naughtiness. Not that Jacobean is the most inspiring medium for subversive subject matter. It’s the silk shading module that is most tempting – I desperately want to stitch pubic hair while everyone else is doing kittens and pansies. 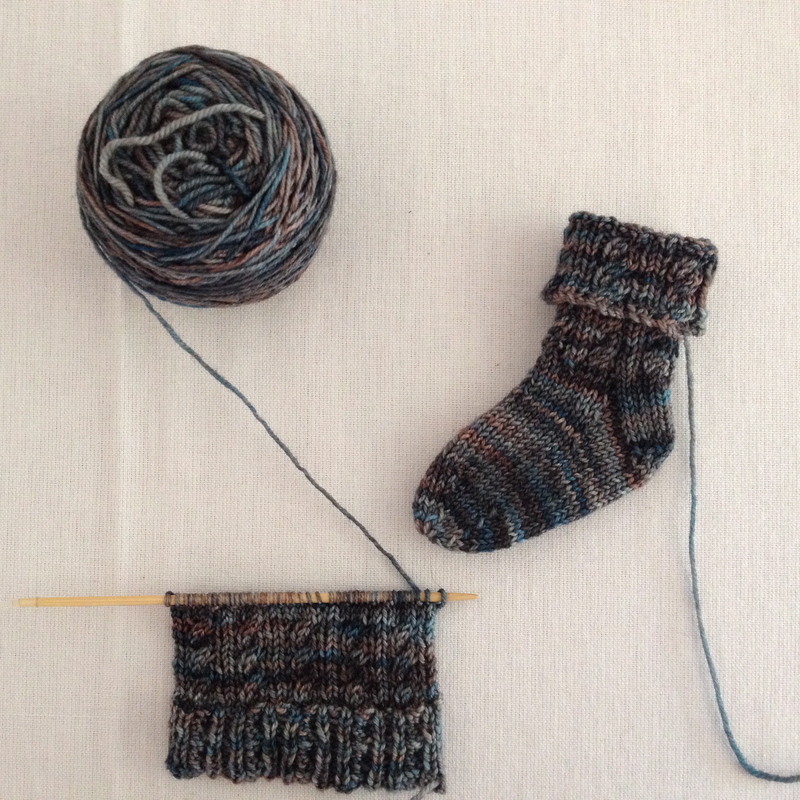 Lucy’s Christmas jumper is coming on nicely: I’m up to the fair-isle section on the front now. Those two massive balls of yarn which I got at Ally Pally last year are stretching really far. Once I’ve finished both the body panels I’ll weigh the green again and split what’s left into two balls, and that will pretty much dictate the design of the sleeve. 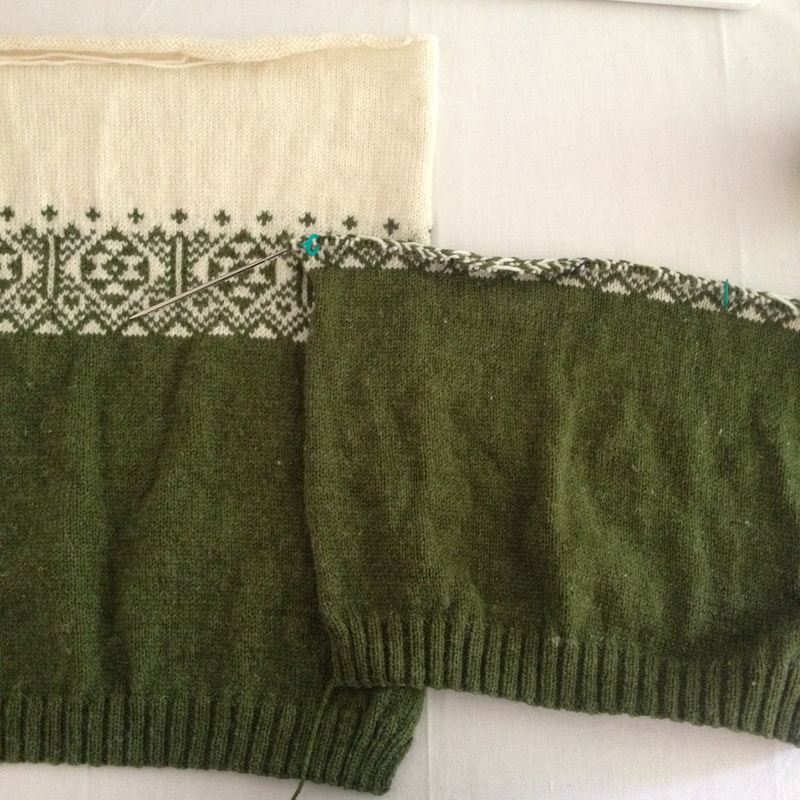 Lots of green will mean the possibility of more detailed fair isle and a shorter white section at the top, only a little will mean a short green cuff with a simple design to transfer to the white. It’s fun to make this up as I go along! Just need to make sure that the angle at the top of the sleeve runs smoothly into the shoulder and we’ll be golden :) And just for a little dose of cuteness I’ve been making these baby socks too: Sometime I feel super frustrated with myself for mot getting much done, but actually when I look at things laid out like this I am pretty happy with what I manage to do. If only I didn’t have to go to work! Naughty stitching… I love it! !